Imagine a year in which your students -- all of them -- treat each other with kindness and respect. Imagine not having to continuously put out fires as conflicts erupt and kids engage in bullying. Imagine having a class full of kids who help each other, are patient with one another, and who view each other through compassionate eyes. Imagine having more time to actually teach. What a concept! Imagine having a class where kids actually get along. Here's a free downloadable lesson that will help you start your year off on the right foot and enable you to begin creating that "get-along classroom" we all long for. Just click on the hyper-link and download. For more free downloads, go to LearningPeace.com. May you have a year that's bully-free and productive for everyone! show that you’re a friend. 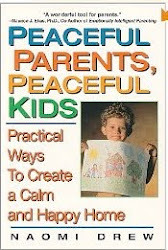 Adapted from The Peaceful Classroom in Action, by Naomi Drew, copyright Personhood Press. May be reprinted for classroom use. I feel compelled to share this posting from a mom whose child is being bullied (along with my response). She so clearly describes the frustrations encountered in attempting to help her child, and I'm sure her experiences will resonate for many of you. The more of us who speak out, the more likely change will occur. I encourage more of you to share your experiences, and I applaud this mom for sharing hers. My child has been bullied from kindergarten until 6th grade. We did everything the school wanted us to do. We got counseling from the inschool counselor and she taught him ways to deal with bullies - "Tell the bully to stop doing that because you don't like it." Yeah, that is real effective. If he tells the teachers, then he gets tormented because of that. We also went to an outside counselor. It wasn't until he finally defended himself that kids stopped putting their hands on them, although they still use their words. So, I have a 13 year old that blocks out everything - using a defensive mechanism that we as adults use. Our school does have a bullying policy but I feel that it is totally ineffective. They can't do anything to the bullies unless they admit they are bullies. It's crazy. I had been bullied as a child and although I am a better and stronger person because of it, it is still something that I will never forget. I continue to worry about my teenage son and if he is truly okay. And what scars bullying has left on him. Thanks for continuing to educate society. Keep it up. Thank you so much for sharing this. Every time I hear stories like yours and your son's I feel such a sense of frustration, yet every time someone like you has the courage to speak out, your words help wake people up. If there's anything positive that can be gained from being bullied, it's the compassion that arises for others who are going through the same thing. Please tell your son that he can start being part of the solution to bullying by standing up for other kids, perhaps younger, who are being picked on. From the pain he's suffered he knows what it's like. If you can, guide him use the anger he may harbor to fuel his energy to stand up for others. He doesn't even have to confront to the person who's bullying -- instead, he can ask the kid who's being picked on to join him, and they can walk away together. He can also ask someone to partner up with him and be "upstanders" who say something to the person who's bullying. 1. Stand tall with your head held high, feet apart, shoulders back. 2. Take slow deep breaths to keep your cool. 3. Keep your body language and facial expression neutral but strong. 5. Speak in a firm, steady tone of voice. 6. Walk away tall and strong. Something else your son might consider is what a group of kids from Texas did -- they'd all been bullied, so they banded together and started a club in their school called STOP (Stop Tormenting Other People). They met with the school counselor and worked toward stamping out bullying. In the process discovered that there's power in numbers. Perhaps a sympathetic teacher or counselor could support your son and others in forming a group like this one. An overwhelming number of the students surveyed expressed their desire for positive change. 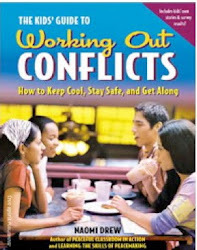 80% said they wanted to learn ways to end bullying, avoid fights, get along better with peers, and work out conflicts. Many felt overwhelmed by the meanness of their peers. An 11 year-old boy who was being bullied daily said, “It just makes me want to die.” With the spate of recent youth suicides that have been in the headlines, words like these can’t be ignored. As our first national summit on bullying continues, Secretary Arne Duncan is taking a strong stand against bullying. Recognizing that bullying is a school safety issue he said, "Bullying is doubly dangerous because it can have unintended consequences and be escalated to even more serious violence and abuse." Kudos to Arne Duncan for speaking out so passionately against bullying! May his words have a far-reaching influence, with many concrete changes ultimately resulting. Refusing to the accept the old erroneous argument that "kids will be kids" and that bullying is simply a rite of passage, Duncan recognized bullying as the dangerous, devastating trend it has become. "Just as you have gateway drugs," Duncan said, "bullying, I think, is a gateway to a hate." Yesterday in Washington Education Arne Duncan kicked off a bullying summit that seeks ways to address the issue bullying in schools. Hosted by the US Department of Education, researchers, educators, and kids gathered to craft strategies and discuss possible solutions to the problem. "So many bullies were themselves bullied, this is a learned behavior, and we have to get to young children early and give them the role models, the mentors, the skills, the strategies, to behave in different ways," says Duncan. In the wake of recent bullying-related suicides, including that of Phoebe Prince, the Massachusettes teen who took her life last spring, school districts, states, and the federal government are responding. To date 43 states have enacted anti-bullying legislation. It’s time for all schools and families to address this issue. What do you think can be done to eliminate bullying? Post your comments here. We’ve all seen the headlines and read the heart-wrenching stories of bullied kids who took their own lives. Yet according to a recent study by the Cyberbullying Research Center, bullying in and of itself does not lead to suicide. Other contributing factors need to be present for a child to be driven to the edge. “We are not aware of a single case where experience with bullying and cyberbullying was found to be the sole cause of an adolescent suicide,” say co-directors of the Cyberbullying Research Center, Justin Patchin and Sameer Hinduja. According to their soon-to-be released study, bullying can cause kids to feel depressed and harbor suicidal thoughts, but unless other factors are present, bullying alone will not drive a child to end his life. More at risk are kids who are already depressed, as well as those experiencing social isolation, trauma, or major family issues. 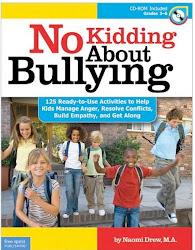 Patchin and Hinduja found that some kids do have the resilience to withstand bullying. Yes, bullying hurts, and, yes, it causes deep anguish, but certain kids are more able to bounce back from it. A child going through very difficult times who also experiences bullying may be completely devastated by it, and with that devastation can come the feeling that any way out is better than continuing to endure the bullying. This is why we all need to be part of the solution to bullying, and the most important thing we can do is to never look the other way when bullying takes place. Kids who are bullied need to be both protected and reminded that they still have power in life. Bullying can strip kids of their sense of power, and along with it their self-worth. This, combined with a sense that the bullying will never end, is why kids who are bullied often get depressed, even desperate. But it doesn’t have to be this way. By being upstanders who intervene on behalf of kids who are bullied and offer them support, we can start to break this vicious cycle. - Tell someone. Telling someone you’re being bullied isn’t tattling. It’s a necessary step to ending the bullying. You have a right to be emotionally and physically safe, and if someone’s harming you, it’s critical that you reach out to someone who can help. - Stick around other kids. Many kids who bully pick on kids who are isolated. If you have difficulty making friends, talk to a parent, teacher, or school counselor and find out what you can do. Being around other kids and adults is a form of protection because kids who bully don’t want to get caught. - Don’t try to handle it alone. Ask at least one peer for support. - Look the person who picks on you square in the eye and firmly tell him or her to leave you alone. Then walk away with your head held high. Rehearse doing this with a trusted person. The more you practice, the less difficult it will be in real life. - If there’s cyberbullying, try not to read mean or threatening things directed at you. Instead, save the evidence and show it to an adult who can help. - Keep asking for help if the bullying continues. Don’t stop until you get the help you deserve. - Make sure to engage in things that give you back your energy -- sports, music, activities with friends or family, creative pursuits. All of these will strengthen you from the inside out and replenish the good feelings that bullying may be taking away. - Remember your worth and value at all times, and if you forget, seek out someone who can remind you of the valuable person you are. Bullying, web-bashings, and hazing -- these are signs of an epidemic of cruelty among our youth, according to many experts. Parents, teachers, and school administrators I talk to often concur. Did you know that 160,000 kids a day skip school because of the way they’re treated by their peers? In a recent national survey of kids in 3rd through 6th grade, 73% of the kids surveyed said their peers were somewhat to very mean. Violence and cruelty saturate so many of the videos, TV shows, and movies kids watch. Often the the victim is portrayed as someone who deserves to be hurt. No accident that according to bullying research, kids who bully often say their target deserves it. In some kids’ eyes, if you're nerdy or “uncool” it's okay for people to pick on you. - Never look the other way when bullying takes place. This is the number one way to counter bullying. Say something as soon as you see it, and make it clear that bullying will not be tolerated. - Call kids on mean words and actions of any kind. Whether directed at a sibling or friend, don't let it go by. Say something like, “That was disrespectful,” or “It’s not okay to talk to your her in such a mean way.” Name it, call them on it, and help them find another way to express their anger or displeasure. - Model respect and restraint, especially when angry. - Seek out examples of respect and compassion and talk about them together. What books, videos, movies, TV shows have heroes who are respectful and compassionate, yet cool and with it? Who are some real life examples? Discuss this together. Kids need to become more aware of real-life examples of people who are cool, yet at the same time, decent and kind. It's high time for all of us to spread the message loud and clear that being cruel is never cool.